Sometimes you may want to do something creative and unique at the end of a run of cabinets. It can either be for style, or even for better storage ability, but there are many things you can choose from to make it different. Here are some ideas that can make your kitchen work better for you, and do something at the end of your cabinets that can be more unique. Instead of looking at the side of a tall cabinet at the end, make it a usable broom closet to put brooms, mops, supplies and other tall things in. It can appear that it’s just a standard cabinet end, but it opens up to a storage closet. What more convenient place could there be for those types of things? Save the effort of walking out to the laundry room or pantry to get the broom. A great way to end a run of cabinets is with a large, wide storage pantry. You can accessorize with rollout or organizers in a way that gives you a ton of space to keep things organized in one place. Decorate the end of your cabinet run with bookshelves to put your favorite things on. This can help to transition the kitchen into the adjacent rooms. Instead of a decorative door or finished end of a cabinet, try ending your island or peninsula with a wine cubby. You can hide school supplies or message whiteboards or other ways to communicate in the end of your cabinet run. It can be the place where everyone knows to look to find certain things or check for messages. 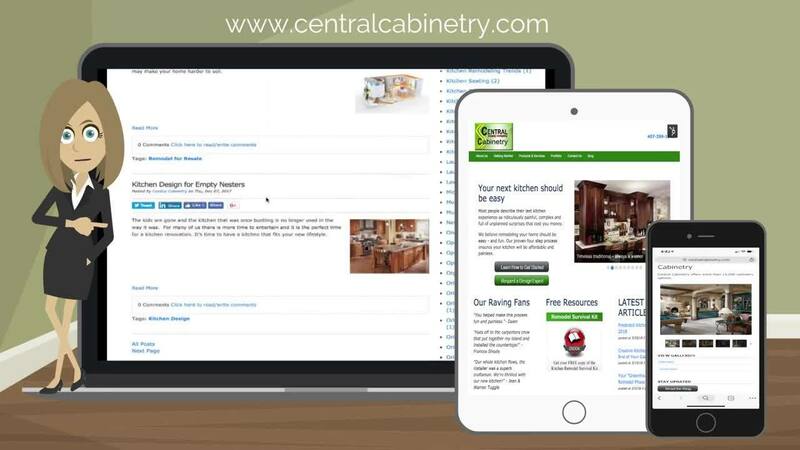 At Central Cabinetry, our professional kitchen designers can help you find a place in your kitchen that is convenient to store your broom and cleaning supplies. To explore more storage options for your upcoming Orlando kitchen remodel and for a free consultation you can contact us here. 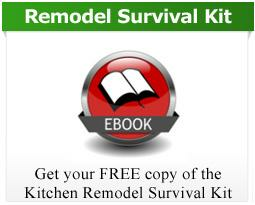 Click below to download our FREE Kitchen "Must Haves" to help you in your design.